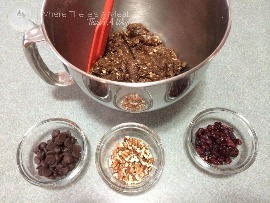 Place dark chocolate, craisins and pecans pieces in small bowls and allow your child to mix in to dough. Note: Have left over chocolate, craisins or pecans? Have a tasty snack! Remove any pits from dates, and soak in water and vanilla extract for 30 minutes. Reserve one tablespoon of soaking liquid and drain off the rest. Blend in a food processor until smooth. Add 2 tablespoons of coconut cream. Place in a ziplock bag and cut off a corner (to make a piping bag) and pipe frosting onto cookie. 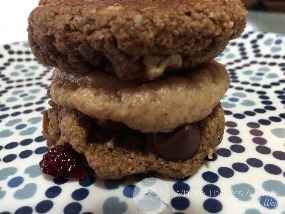 Top with another cookie to make a sandwich and refrigerate. Serve chilled. Rainy days are my favorite! Why? When I was little, every rainy day, my mom would make my sister and I cookies and we would watch movies. This is a tradition I definitely wanted to continue with my son, just make it somewhat healthy (you know in case it rains for a week straight, I still want my pants to fit). 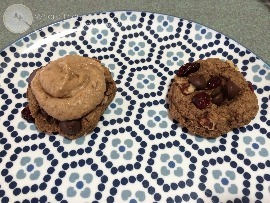 I started playing around with different cookie recipes, and I always let Tucker (my 4 year old) put the mix-in’s in the cookies. I would give him different bowls filled with pecans, dark chocolate, craisins, whatever I had on hand, and let him go to town. 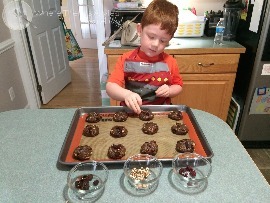 I have found that if Tucker is involved in the cooking/baking process he is much more willing to try out new things. Would he ever pick a dark chocolate craisin cookie in a line up? Probably not, but because he made it himself, it’s the best cookie EVER! Have a little one that is scared of thunderstorms? Try starting this fun tradition. 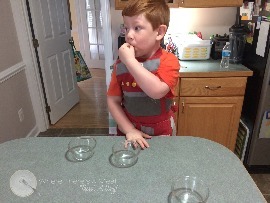 My guy is so excited to make cookies at the first sign of bad weather, he isn’t even fazed by the thunder and lightning. 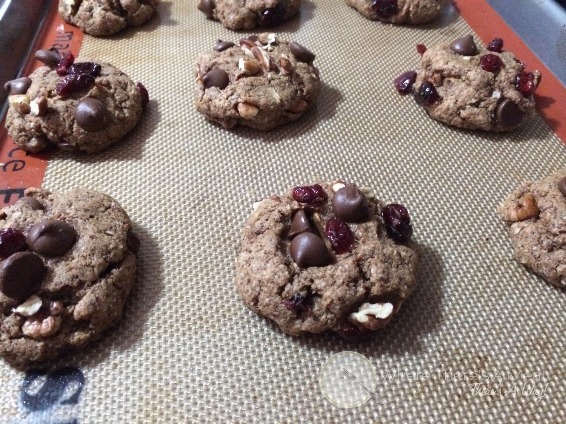 Looking for a yummy cookie with no guilt, (that makes my “son shine” on rainy days) where there’s a meal, there’s a way!